DG & LFP Mobile Caravan Services are a friendly family run business. Dennis Green has been a qualified and successful motor engineer for over 40 years working on all types of motor vehicle. After finding a passion for caravanning, he turned his experience to the repair and servicing of caravans and motorhomes. Dennis has therefore also been a qualified engineer to Quality Standard and a member of the MCEA "Mobile Caravan Engineers Association" for the past 8 years and is one of the most experienced and well respected caravan engineers in the South West area. Lee Price has been a qualified panal beater/sprayer in the motor industry for the past 30 years, more recently working as a qualified motor assessor. Also having a passion for caravans, Lee has now also trained to become a qualified engineer to Quality Standard and a member of the MCEA "Mobile Caravan Engineers Association" so as to work alongside Dennis in the family business and is now working towards NCC Accreditation. 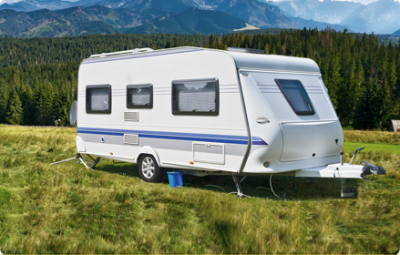 DG & LFP Mobile Caravan Services are able to carry out caravan & Motorhome repairs, servicing and pre purchase inspections at a time and place suitable and convenient to you at cost effective and competitive prices. We also carry parts in stock. With Lee's experience in the vehicle bodywork industry, we are also able to assist and advise upon cosmetic damage to your caravan or vehicle and we are insurance approved. Likewise, with services and repairs to horse boxes and trailers we can either repair/service the unit in situ or will collect and return the horsebox/trailer at your convenience.